The first time we visited Halifax, Nova Scotia, we were on our honeymoon, many moons ago. Lucky for us, a travel media conference took us back there. 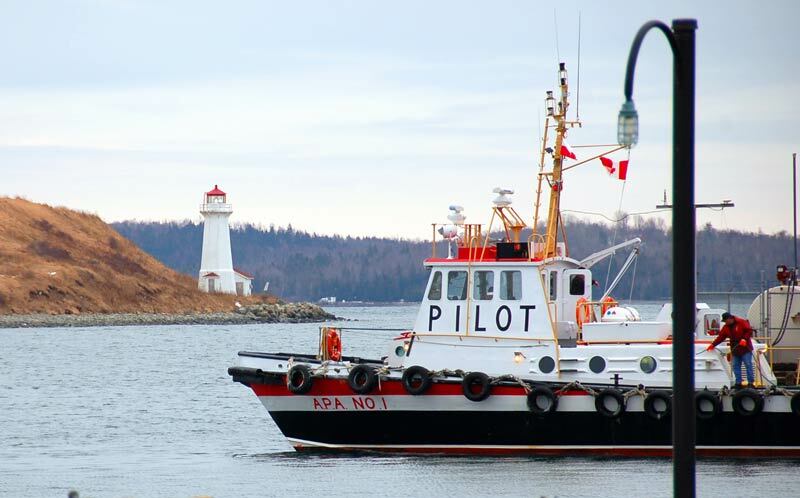 Halifax, Nova Scotia is one of Canada’s historic ports of call, founded in 1749. In more recent times she has become a cruise-lover’s destination. That’s why I chose this week to post our Halifax trip even though we visited there in winter. 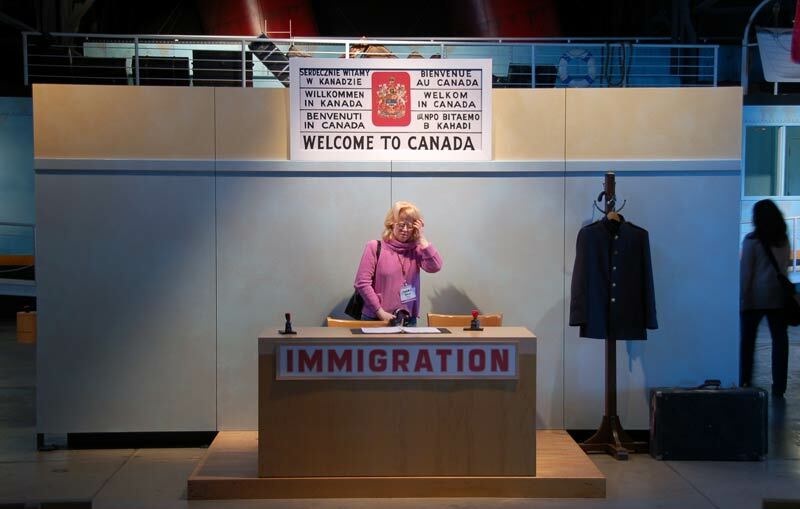 Pier 21, Canada’s immigration museum did not disappoint. 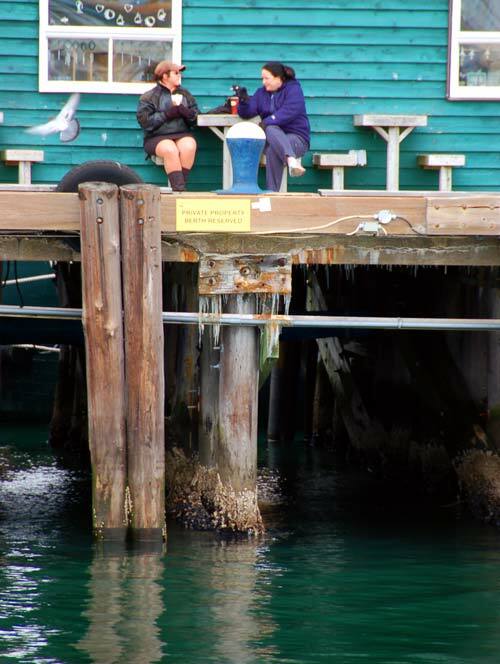 “1.5 million immigrants, war brides, displaced people, evacuee children and Canadian military personnel passed through Pier 21 between 1928 and 1971.” What made our visit special was being with conference participants who immigrated to Canada with their families through this pier. I sat at lunch with a fellow from Germany who told us his story. 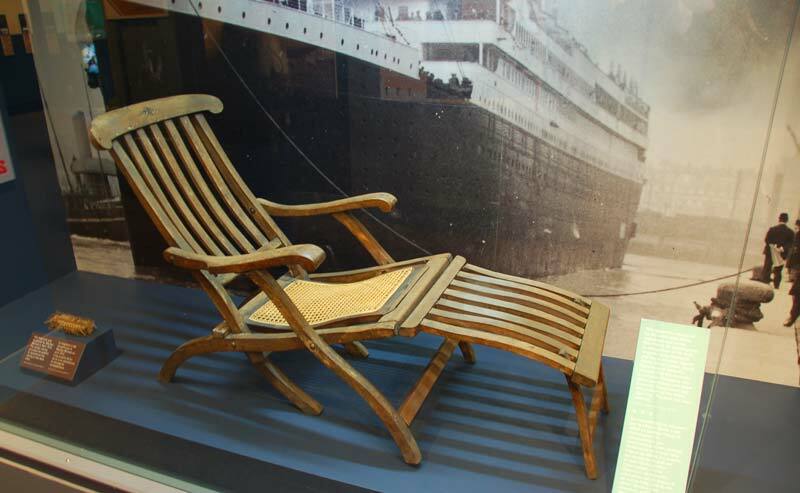 The 100th anniversary of the sinking of the Titanic was April 14, 2012. It created renewed interest in Halifax’s connection to the sinking. Halifax is where the largest number of Titanic victims are buried and where the Marine Museum of the Atlantic has many Titanic artifacts. The Titanic is also connected to St. John’s, Newfoundland, the oldest city in North America. When the ship sank it was 375 miles off of the Newfoundland coast. Here are some fascinating recordings and personal stories. And here is a short piece about icebergs around Newfoundland. Even today, tributes are left at the base of this stone erected to the memory of an unknown child whose remains were recovered from the wreckage of the Titanic, April 15th, 1912. We visited Halifax’s Fairview Cemetery where more than one hundred of the Titanic victims’ graves are laid in a curved line, like the bow of a boat. At the base of the grave of the unknown child there were many stuffed animals and flowers, which one might expect, but it was the flowers and the handwritten love letters covering the grave of J. Dawson that caught me by surprise. They were a sure sign that Leonardo Di Caprio’s role as Jack Dawson in Titanic the movie has been taken to heart. According to a 2001 Discovery Channel production, the real J. Dawson buried here is Joseph Dawson, a 23 year old coal trimmer who was from Dublin Ireland. 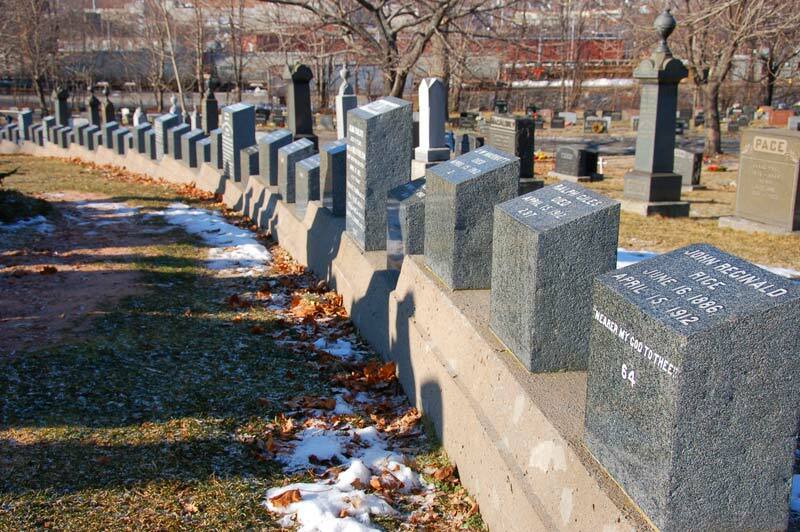 Other Titanic victims’ graves are found in Halifax’s Mount Olivet and Baron de Hirsch Cemeteries. I loved the Art Gallery of Nova Scotia and ended up buying a magnificent Nova Scotia winter sketch in the gallery’s gift shop painted by Nova Scotia artist, Mark Brennan. 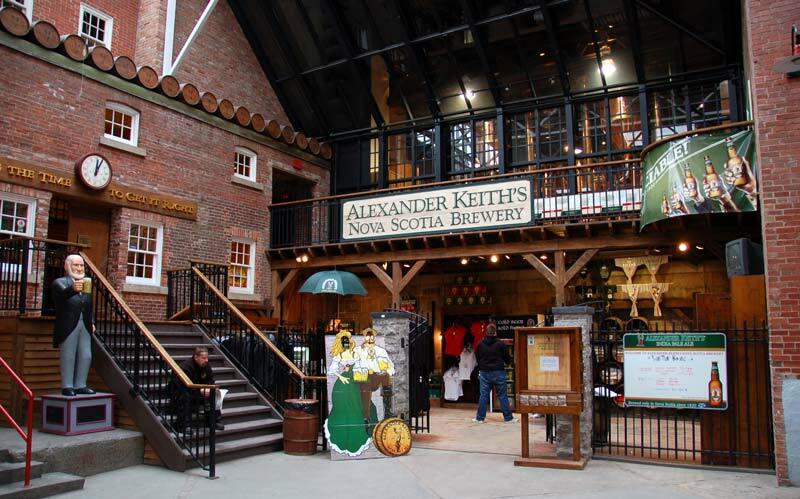 Local brewer, Alexander Keith serves excellent east coast beer. We had a special beer tasting and dinner at this downtown Halifax brewery. Expect good seafood in Halifax. We had plenty of it while we were there. Another delightful and unexpected find was Shiraz. 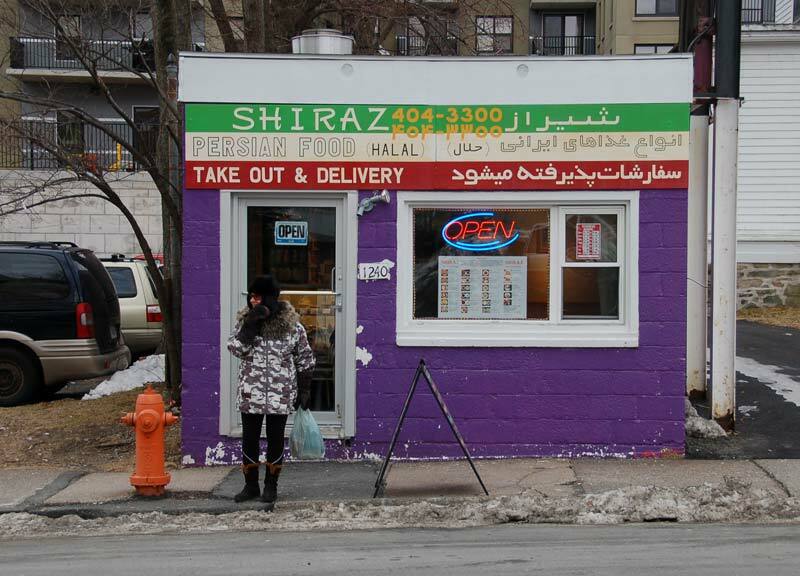 This Persian restaurant may be tiny, but its flavours were anything but. I also enjoyed poking around in all the little shops on Halifax sidestreets. At Encore, one of the second hand stores, I got a great deal on a Jones reversible raincoat (new). Carnival, Celebrity, Crystal, Cunard and others have cruises up the eastern seaboard that include Halifax as a port of call. Thanks for sharing Nova Scotia’s capital city with your readers. We hope you’ll be able to come back for a longer visit to discover more road stories from our beautiful province. Who knew there was a real J. Dawson on the Titanic…. Great read and thank you for sharing! We would like to feature some of your images in The Canadian Encyclopedia. Please contact me. We’ve sent you an email. Thanks for your interest! people were put to rest.There is a lot more,and i have been interested in the Titanic all my life. Delighted to find your comment on Roadstories! I am wondering if you will be at the Titanic commemorative events in Halifax this week. Would love to hear from you again.